Who knew so many people would bombard downtown Fresno on a Saturday night? Apparently, the organizers of the FresYes Fest and Alley Wave did. 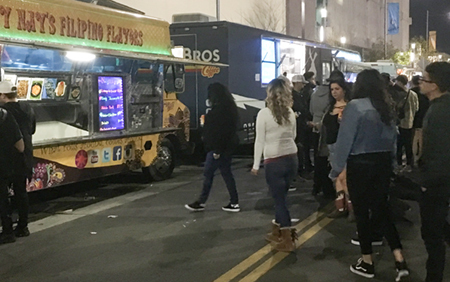 Those two events, along with the home opener for the Fresno Foxes minor league soccer team, dominated the Fulton Street/Inyo Street areas Saturday. FresYes, in its seventh year, estimates 17,000 attended the all-time fun-a-thon. The festival featured music, food trucks galore, and beer. Tioga-Sequoia introduced a special brew in honor of Haron Jaguar. Approximately 6,500 came for Alley Wave, a block party series at and behind the Broadway Events Center. Numerous musical acts from all genres performed in parking lots off the alley. Amazingly, the music groups didn’t bleed into each other. Meanwhile, 7,863 saw the Foxes kick off their second season with a 1-1 draw versus Reno. Not only was there drumming and cheering going on with the Fire Squad, but another drum line formed along the second deck’s outer edge. It’s certain that some people attended more than one event. But my conservative estimate of the total attendance is at least 20,000. I walked around all three events. They were jammed, mainly with millennials. It shows — if you build it, they will come. The best part — police say no arrests, no crimes. As the Fresno City Council is set to declare a special election for the seat to be vacated by Steve Brandau (District 2), potential candidates can raise more money than their predecessors. That is because the state increased its individual and small campaign contributor campaign limits. The city ties its maximum giving per election cycle to what state legislators can raise. Cost of living adjustments raised individual giving from $4,400 to $4,700; and small committee contributors from $8,800 to $9,300, starting with the 2019-2020 campaign cycle. This theoretically means that Mayor Lee Brand can collect more for his 2020 re-election campaign as well. Brand raised $471,842 in the calendar year 2018, based on the old standards. He could ask for $300 from each individual contributor who maxed out at the old $4,400. According to Brand’s latest financial report through Dec. 31, 2018, some individuals and companies already have maxed out at the new amount. 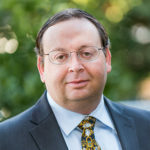 The new rules were agreed upon by the Fair Political Practices Commission in November 2018. Brandau is slated to leave in early April to take a seat on the Fresno County Board of Supervisors he won in a March 5 special election. Potentially not coming to Fresno in the near future: more alcohol licenses. Councilman Miguel Arias (District 3) is proposing a solution to cap the current level of permits granted by the city. The only way a new operator of a convenience store could sell beer and wine (Type 20 license) or those spirits plus liquor (Type 21) is to buy an existing license. Arias said it’s about fixing a city eyesore. “The level of blight and crime caused by liquor licenses in our city has been an impediment to much-needed full-service grocery stores,” Arias said. He says grocery stores just can’t compete in areas where liquor is sold in excess. According to the California Alcohol Beverage Control, the city alone has 500 Type 20 and 21 licenses operating. Arias noted that the proliferation of liquor store drives down the price to the point where water is sold for more than beer. The councilman plans to bring his plan to the council next month. At last Thursday’s Fresno council meeting, Councilman Nelson Esparza (District 7) missed most of the most important debate and vote of the day — the anti-panhandling ordinance. He said he had a previously scheduled trip out of town, and the last-minute (well, 72-hour) addition of the STOP ordinance to the agenda affected his attendance. Esmeralda Soria (District 1) said she was leaving the meeting before the vote because she had a Woman of the Year function to attend. Despite leaving, she returned minutes later to cast her vote. It’s nothing new for council members to miss all or parts of a council meeting. Paul Caprioglio (District 4) did not personally attend a meeting last July, as he was vacationing in Montana. He did call in to participate (as any council member is allowed to do) for the meeting. My point — attending meetings and voting are two key components of the job. The schedule for the council for the entire year is usually set by the prior December. Barring a personal emergency or physical ailment, there is no excuse to miss attending meetings in person.